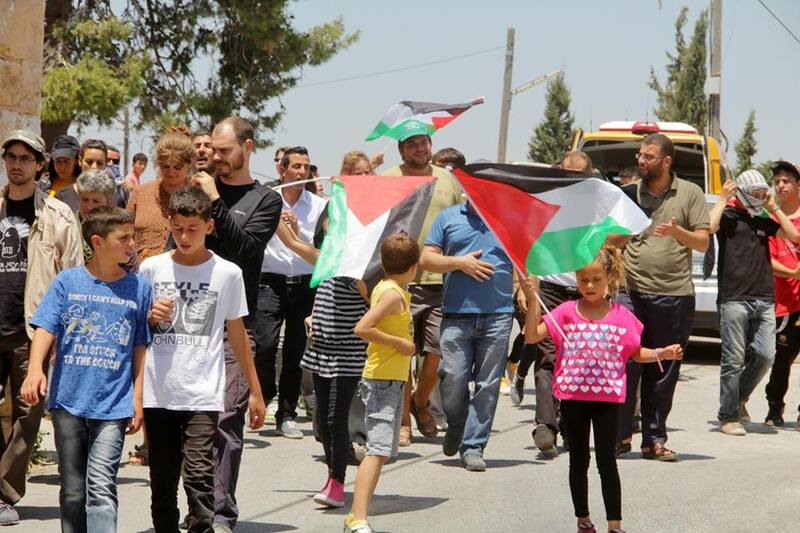 Solidarity activists joined Palestinian residents of the Ramallah-district village of Nabi Saleh to protest against the ongoing massacre in Gaza. 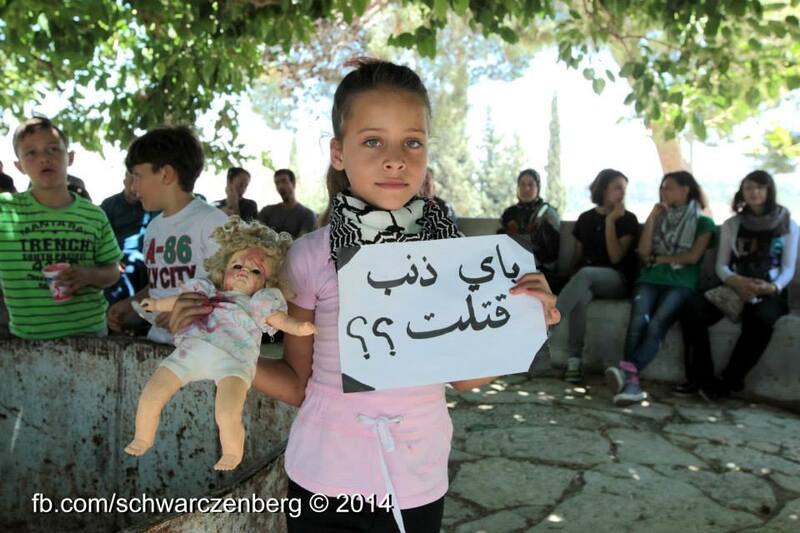 So far, over 2000 people have been killed in five weeks, the majority of whom were civilians. 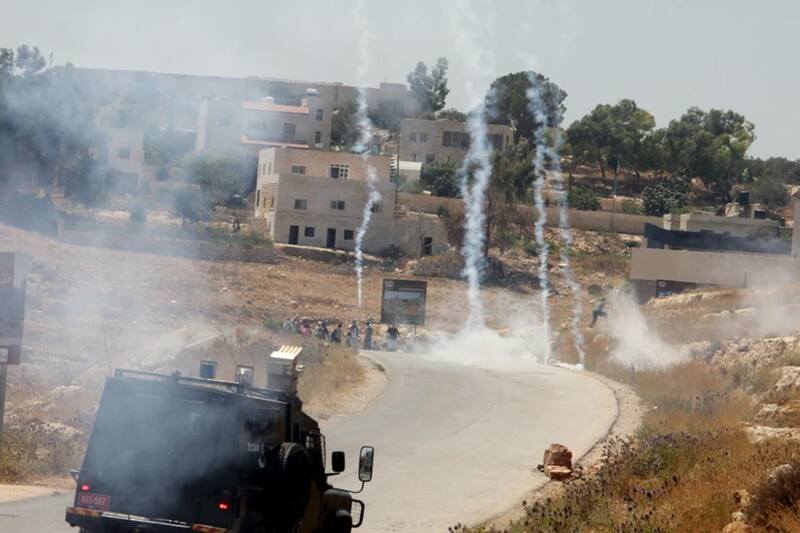 The march, which began at the village’s centre, continued to the main road, where the IOF attempted to disperse it using barrages of tear gas and rubber coated steel bullets. 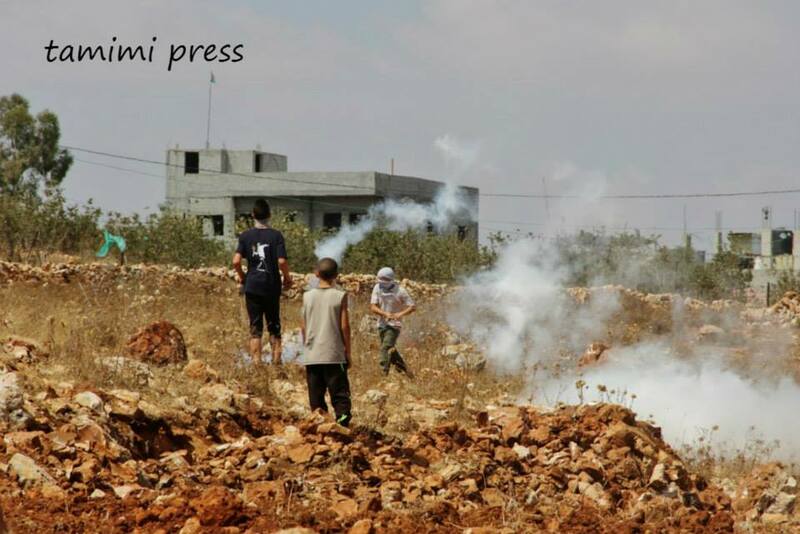 No major injuries reported. 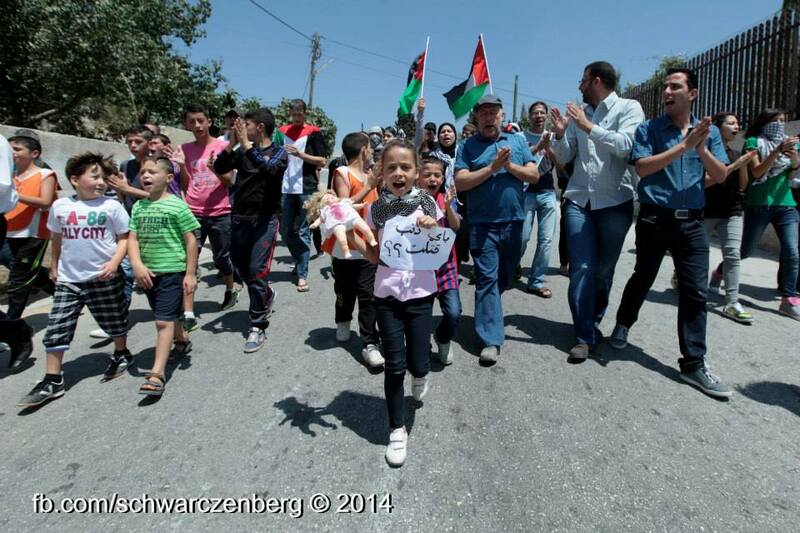 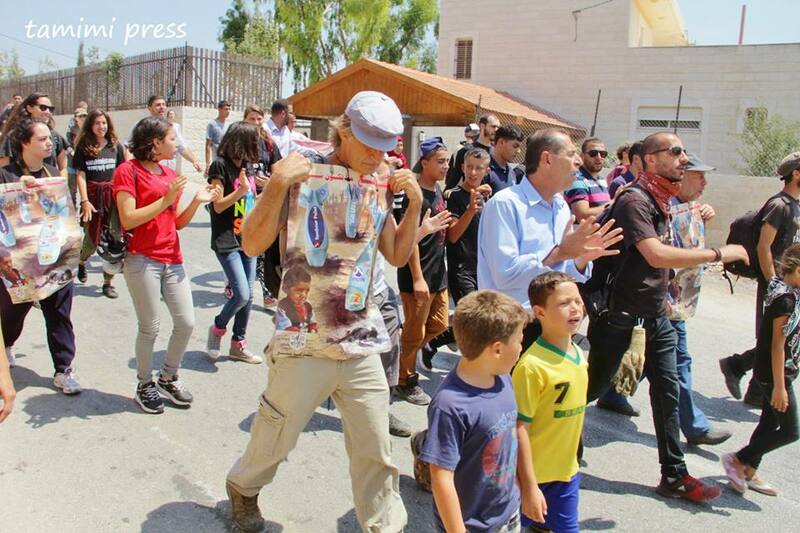 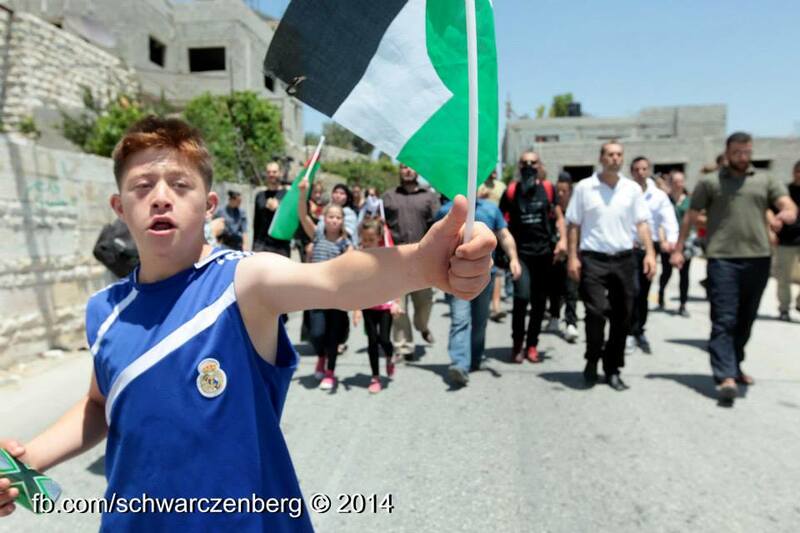 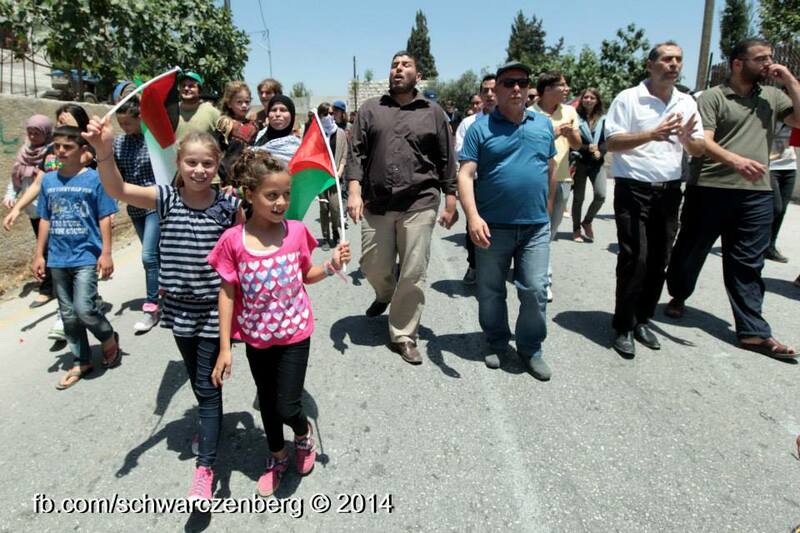 On Friday, at the weekly demonstration, Nabi Saleh marched in solidarity with Gaza, opposing Israel’s war crimes. 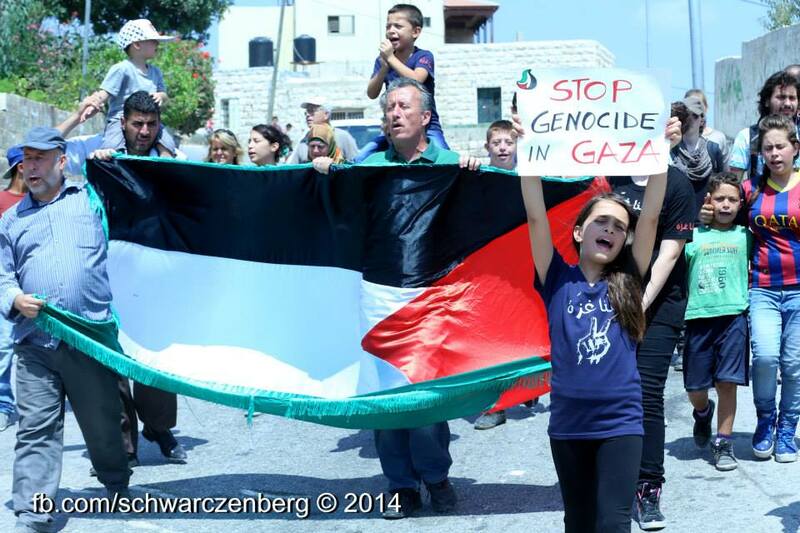 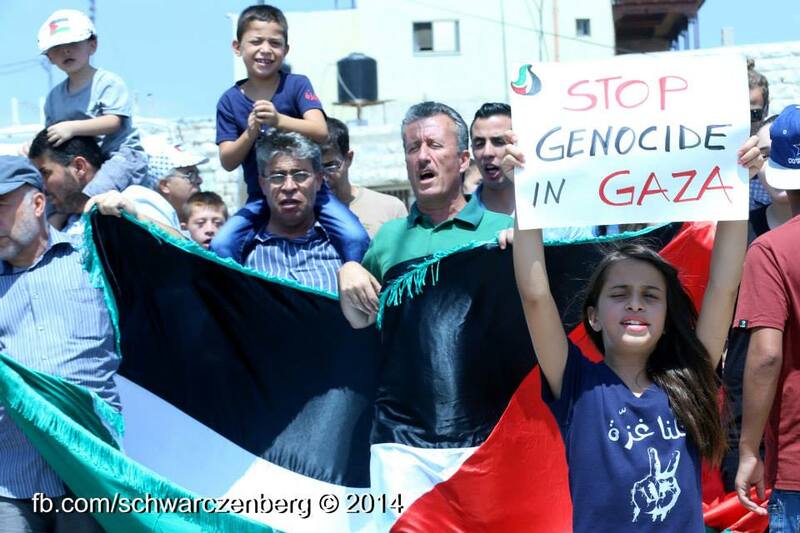 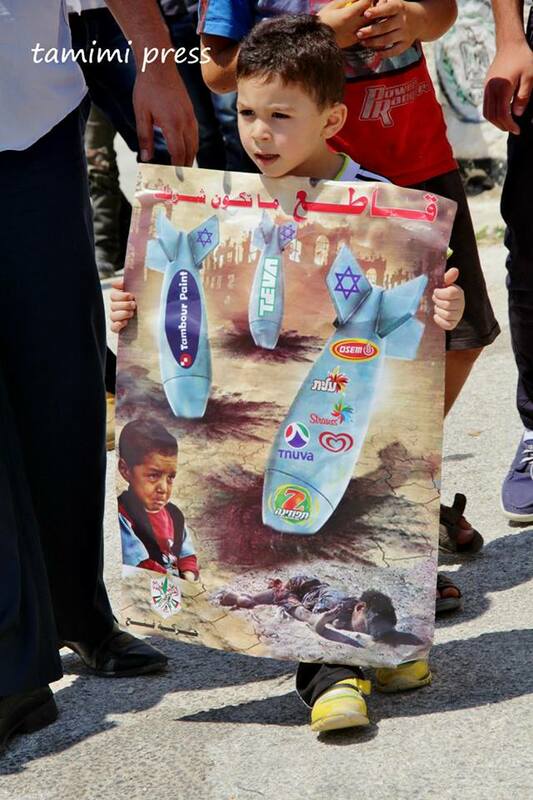 The demonstration called on Israel to stop its aggression and war crimes in Gaza. 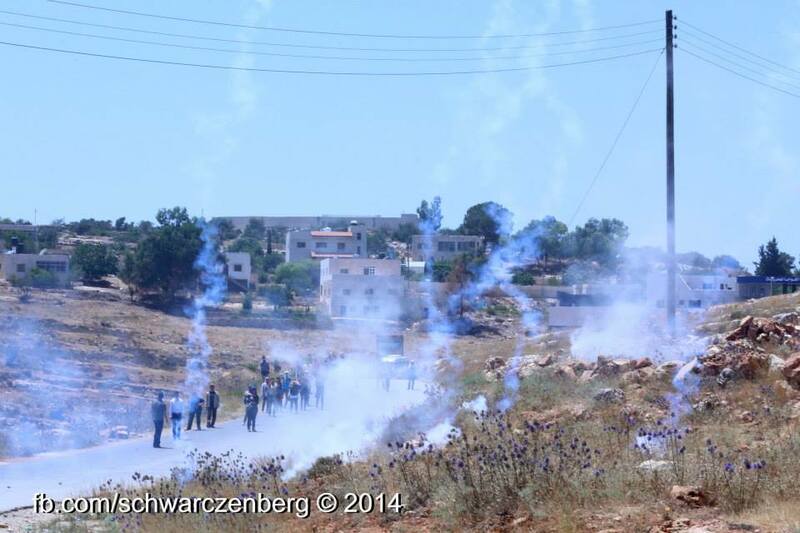 The protest attempted to march to land confiscated illegally by Israeli settlers but were attacked by Israeli Occupation Forces who fired teargas and rubber coated steel bullets. 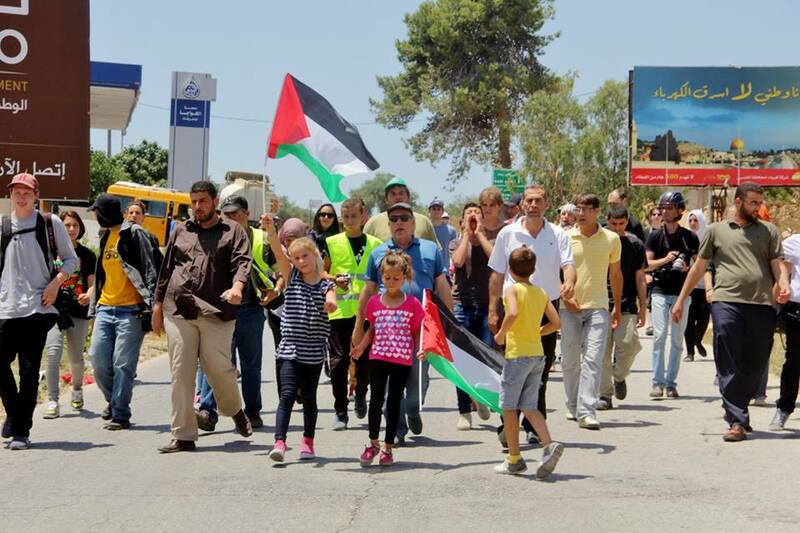 Nabi Saleh protested against Israel’s largest crackdown on the Occupied West Bank in the last decade and its illegal collective punishment of the entire Palestinian population in the wake of the disappearance of 3 Israeli settlers. 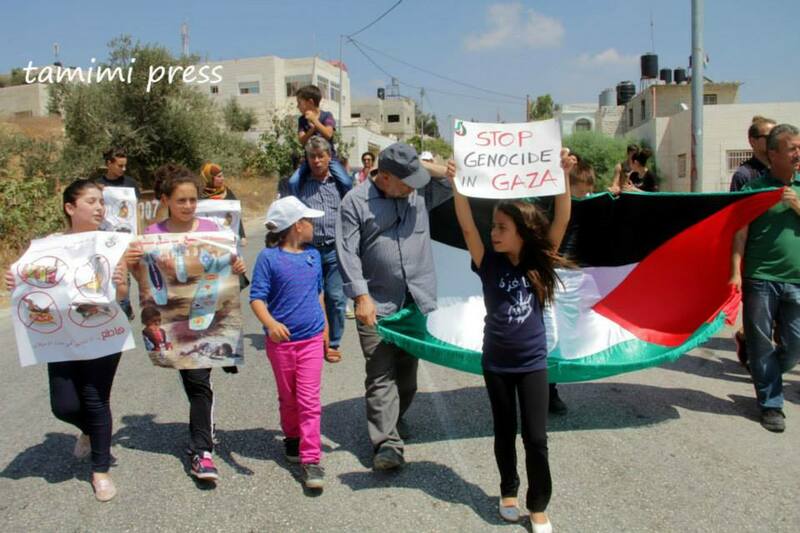 The demonstration protested against Israel’s raids on thousands of homes, mass arrest of hundreds of people, demolition of houses and bombing of Gaza. 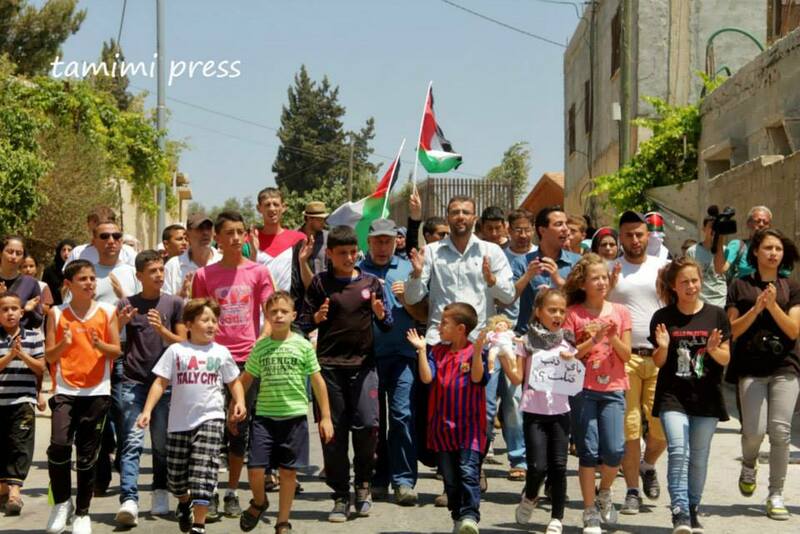 Nabi Saleh marked the 47th anniversary of Israel’s seizure and occupation of the West Bank, the Gaza strip, East Jerusalem and the Golan Heights, known as al-Naksa in Arabic. 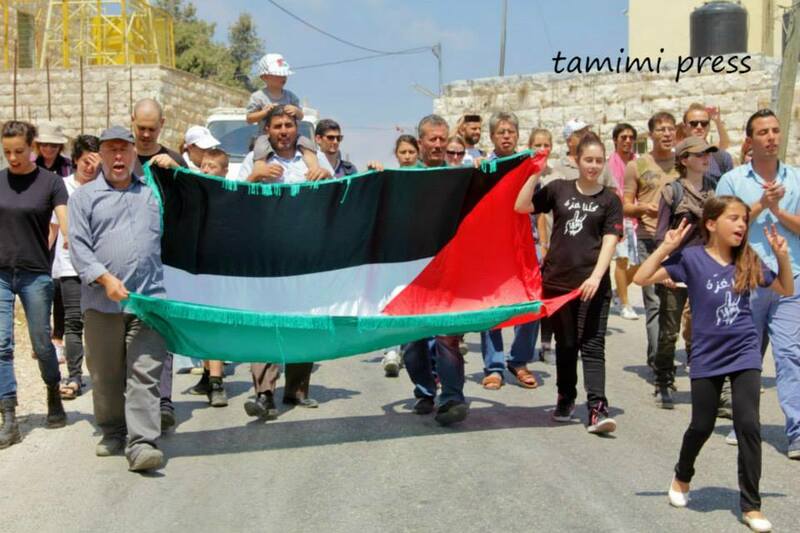 Today, Palestinians marched in solidarity with Palestinian political prisoners on hunger strike. 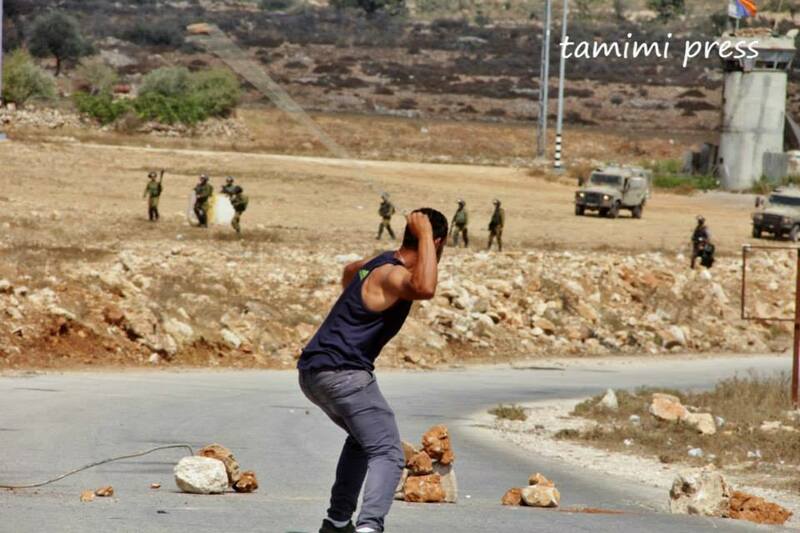 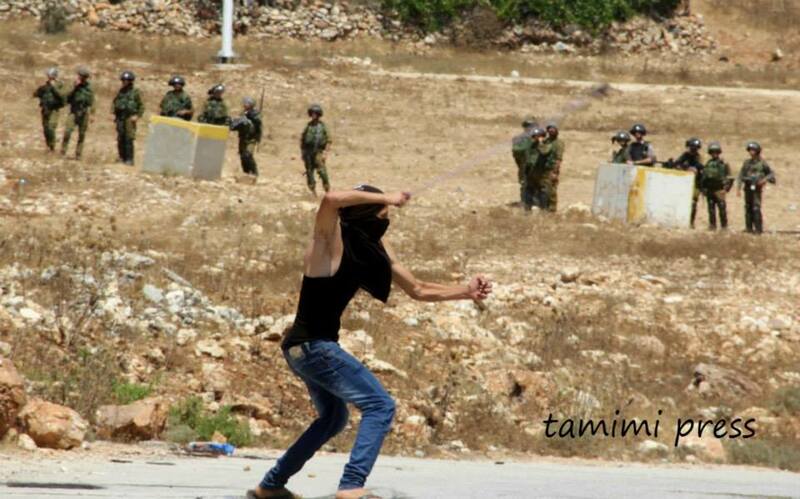 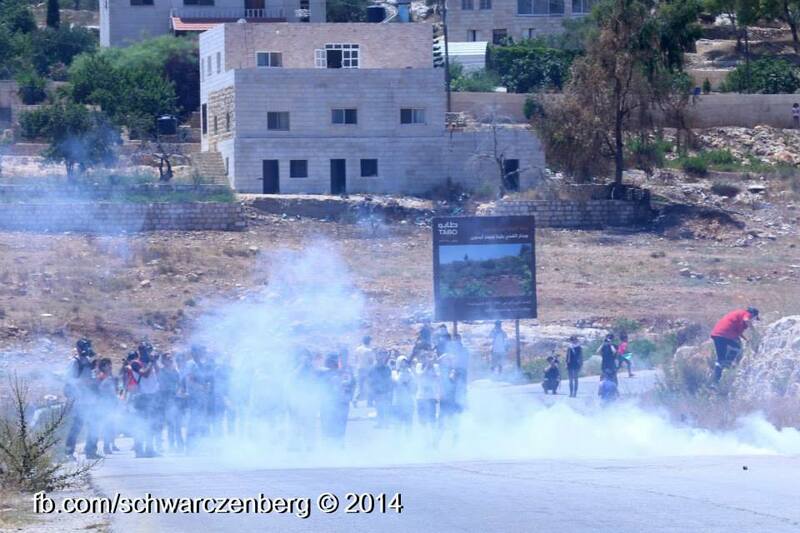 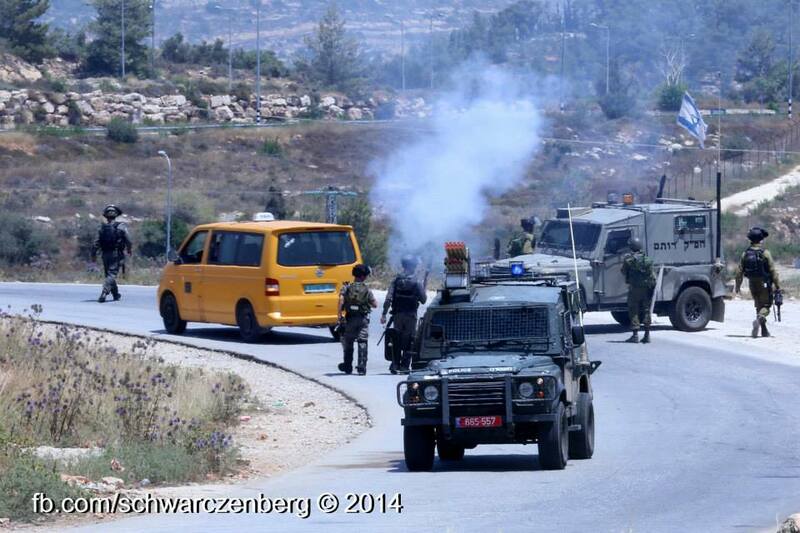 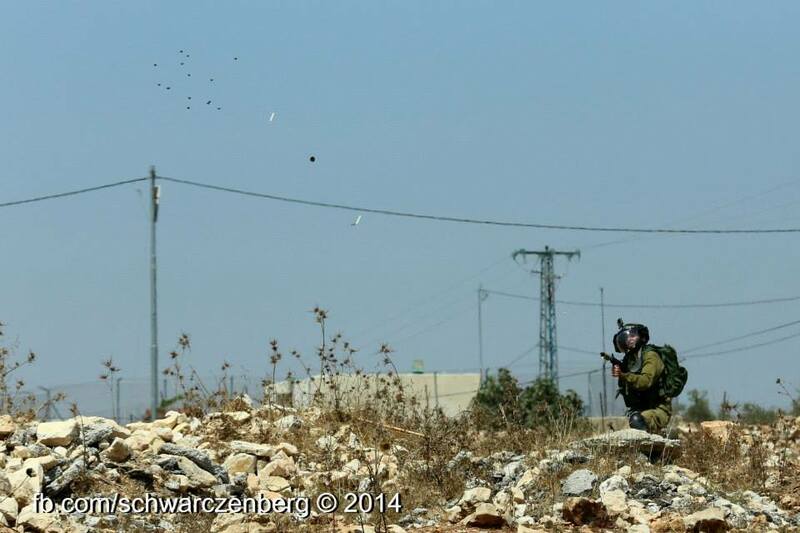 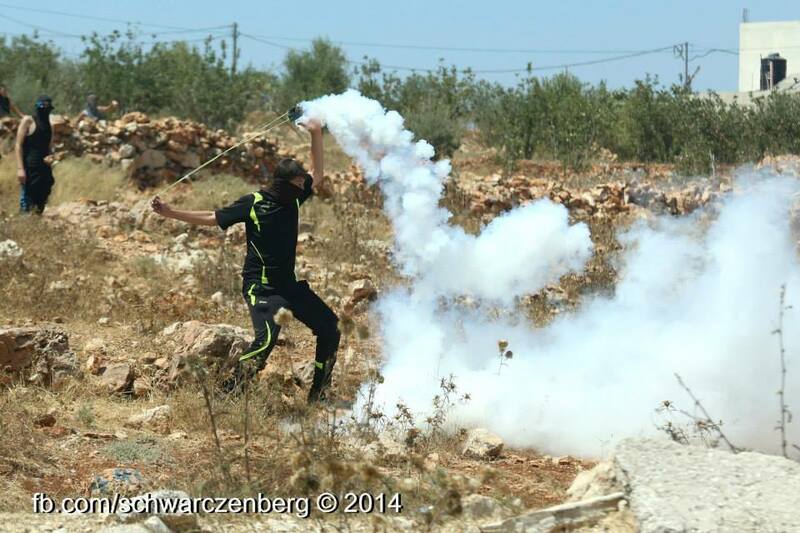 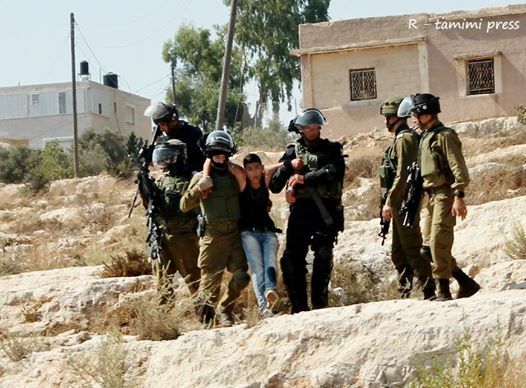 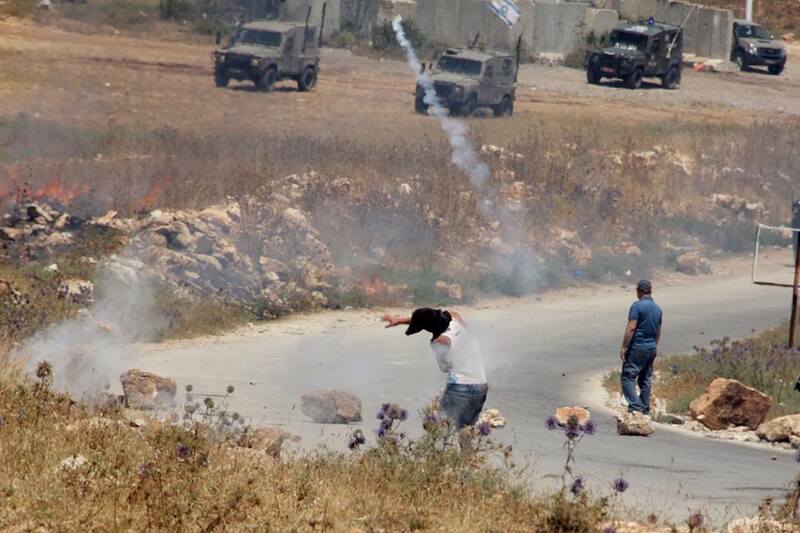 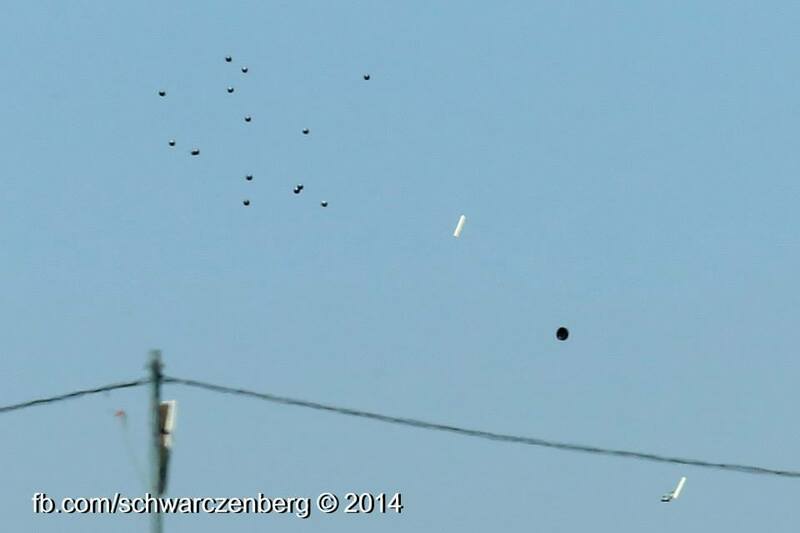 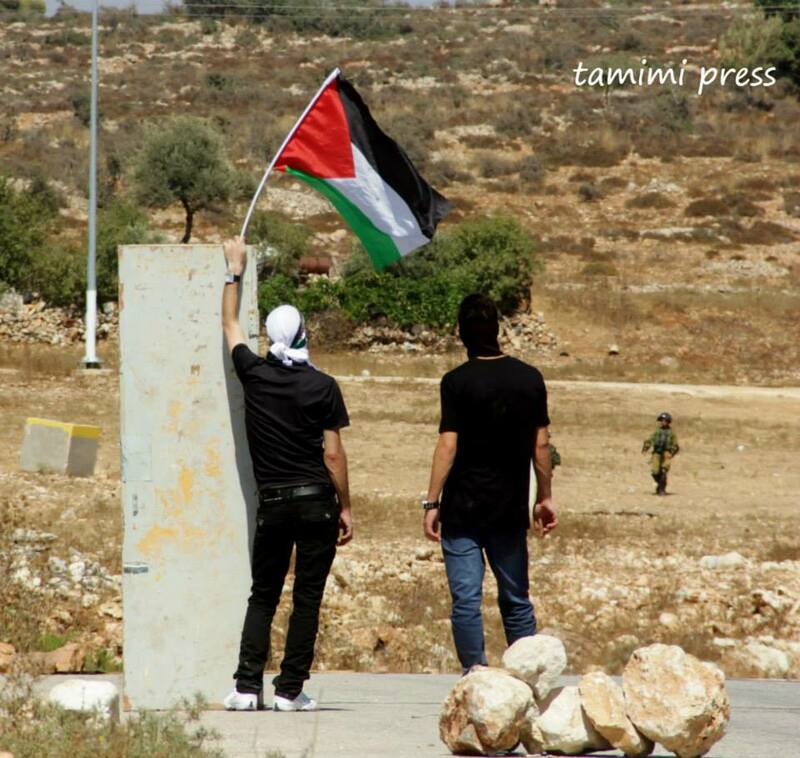 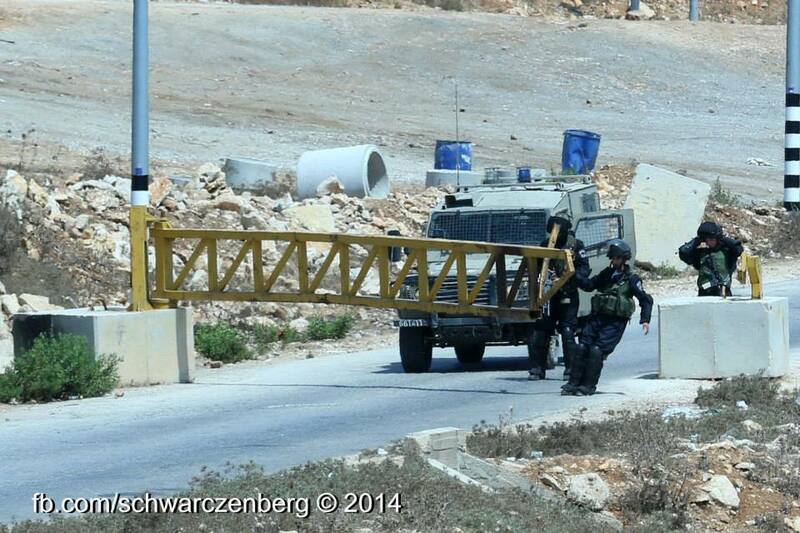 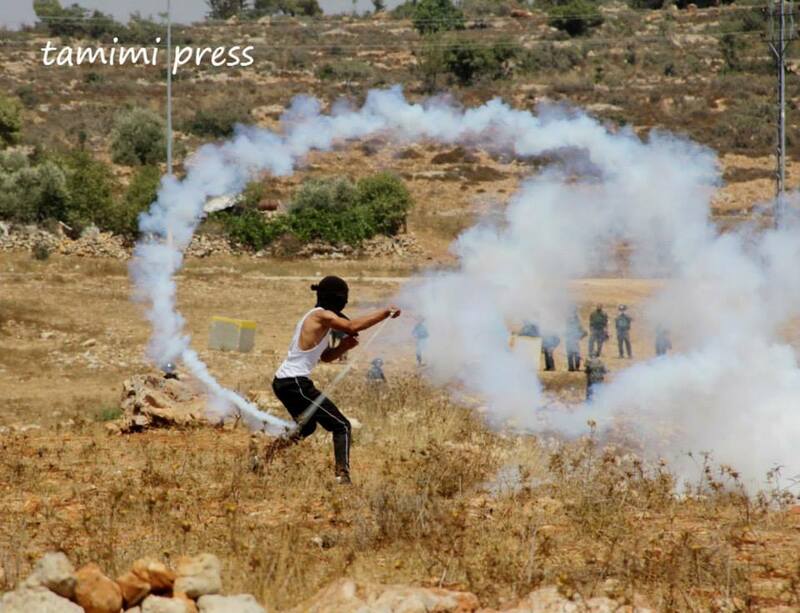 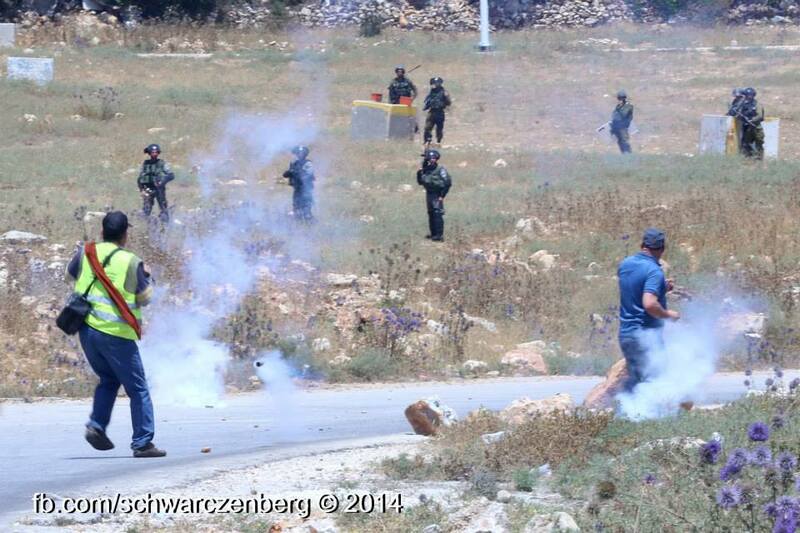 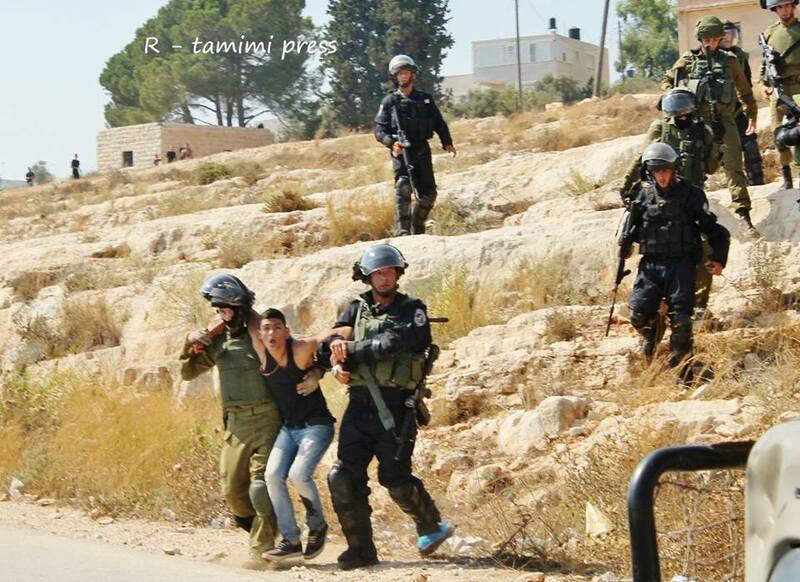 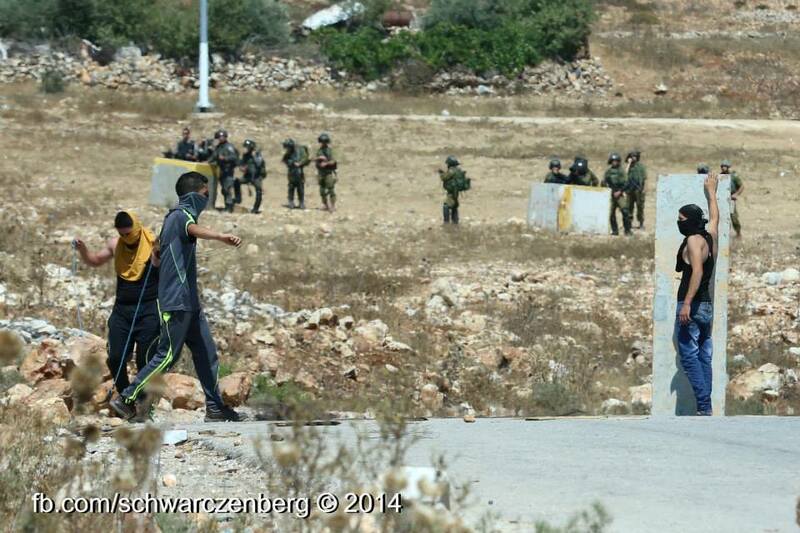 Israeli Occupation Forces attacked the village and demonstration with teargas and rubber coated bullets.